It’s the 16th Anniversary of Super Bowl of China on August 10. 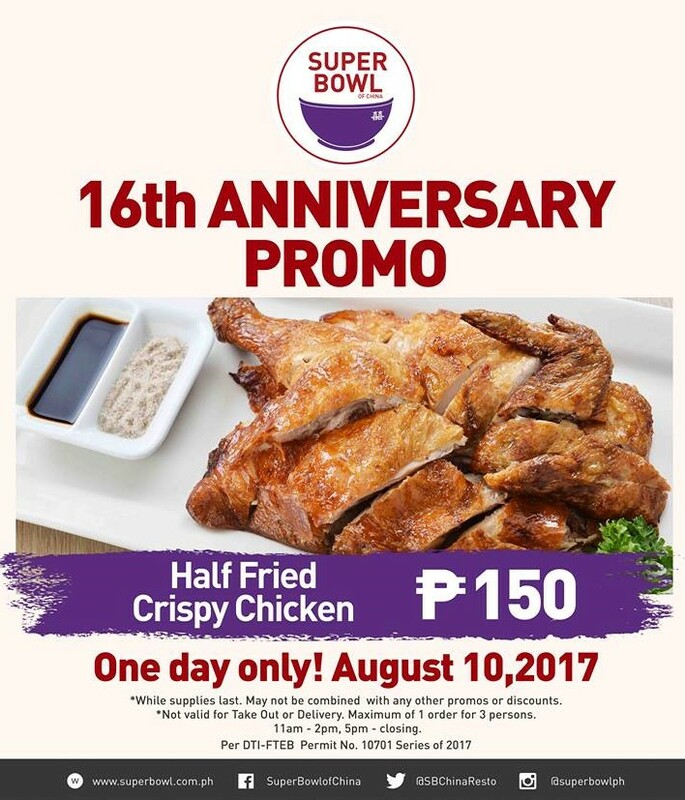 Get their Half Fried Crispy Chicken (valid while supplies last) for P150 only! Bring your family and friends and experience their best-selling Chicken. It’s their way of saying thank you! Valid for dine-in transactions on August 10 only from 11am to 2pm, and from 5pm til closing. Maximum of 1 order for 3 persons. Available in all Super Bowl of China branches nationwide.